Ascott Makati is an upscale serviced residence located in the Makati Central Business District, the main financial district of Manila. 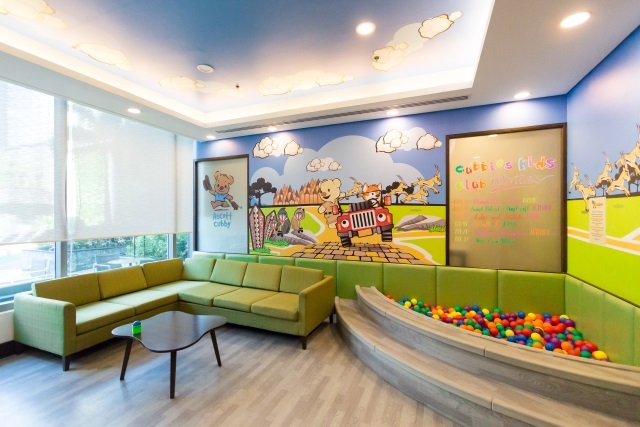 It is centrally located near the offices of multinational companies headquartered or operating in the Philippines, making it a convenient choice for business travelers. Ascott Makati is managed by The Ascott Limited, the world's leading lodging owner and operator with more than 500 properties comprised of serviced residences and hotels in the Americas, Europe, Asia Pacific, Middle East and Africa. 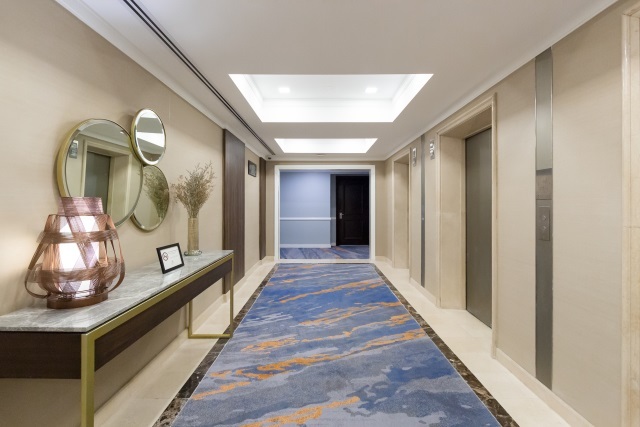 Part of Ascott The Residence brand, Ascott Makati offers luxurious residences which feature residential-style amenities and modern conveniences and technology required by today's business travelers. Ascott Makati also forms part of Ayala Center, a mixed-use development complex comprising of shopping malls, office towers, condominiums and hotels. 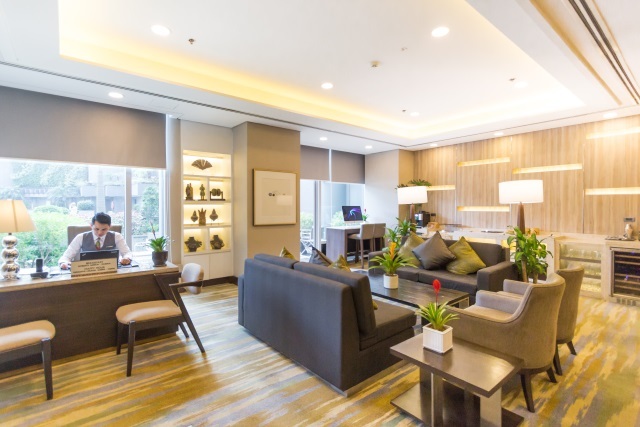 Ascott Makati is directly connected to Glorietta 4 shopping mall housing a wide variety of retail outlets and restaurants. Its prime location also makes Ascott Makati a favorite among leisure travelers and staycationers. Ascott Makati has a total of 362 spacious and high-end residences spread in its two towers. The property underwent an extensive rejuvenation program in 2016 and 2017, creating some of the most elegant and modern serviced residences in Manila. The EDSA Tower houses residences which have been refurbished with new furniture pieces while the kitchen and entertainment amenities were also updated. 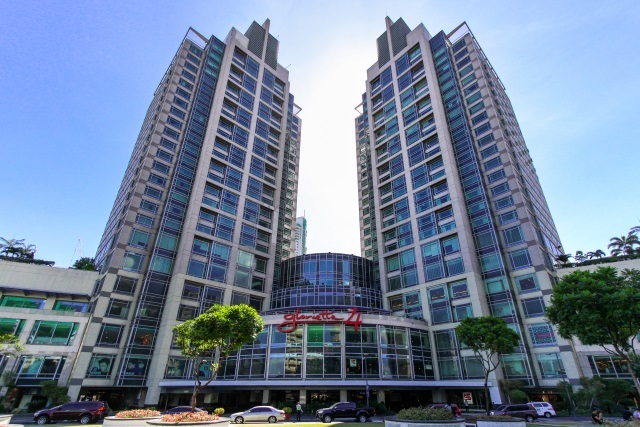 Residences located in the Ayala Tower (categorized as "Suite Residences") were completely renovated from floor to ceiling and updated with modern furniture pieces and residential appliances. During my most recent stay, I requested to view residence units in both towers and in my honest opinion, I didn't see any striking difference in terms of design and furnishing. 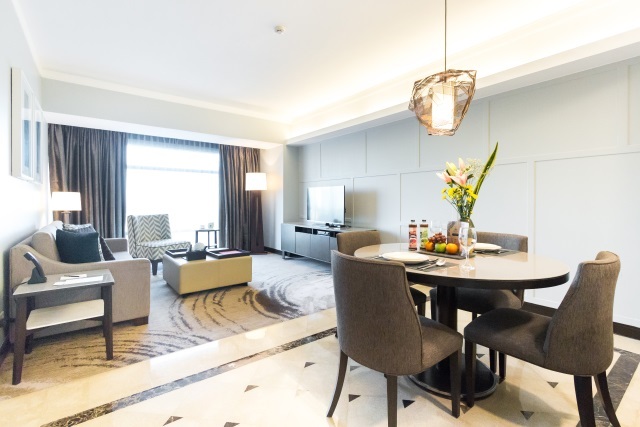 The One-Bedroom Deluxe Suite is the lead-in suite-residence category of Ascott Makati. The One-Bedroom Deluxe Suite has a total floor area of 73 square meters and has a separate bedroom, living area, dining area, a fully-quipped kitchen and an en-suite bathroom. 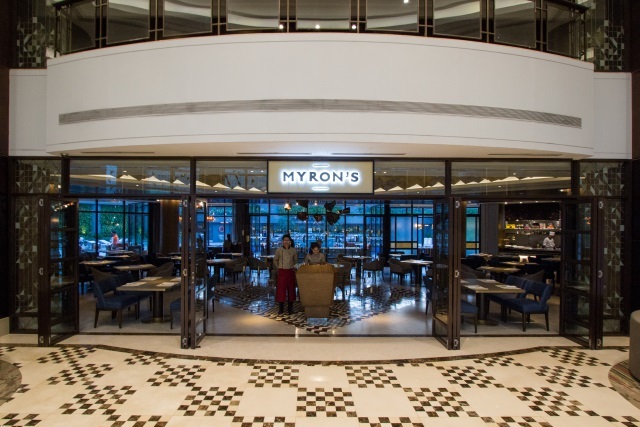 Guests who booked their stay at Ascott Makati via the official website are entitled to daily breakfast buffet at Myron's. Business travelers who are on a special long-term stay arrangement with Ascott Makati may or may not have daily buffet breakfast as part of their benefits. Please check with your company's Travel Manager whether your breakfast is part of your room rate or should be covered by your per diem. In-Room Breakfast - Guests who do not have breakfast buffet included in their room package may opt to order from the in-room dining menu. This is a great option for those who prefer light breakfast. This is also a time saving option for business travelers who are on the rush to catch morning meetings. Serving time is about 30 minutes. You may also order a day in advance and have your breakfast served on your preferred time the following day. Cook Your Own Breakfast - The beauty of staying at Ascott Makati is the convenience of having your own fully-equipped kitchen at the comfort of your private residence. This is also a more economical option than ordering in-room breakfast. This is however more time consuming and may not be ideal for business travelers who are traveling alone. 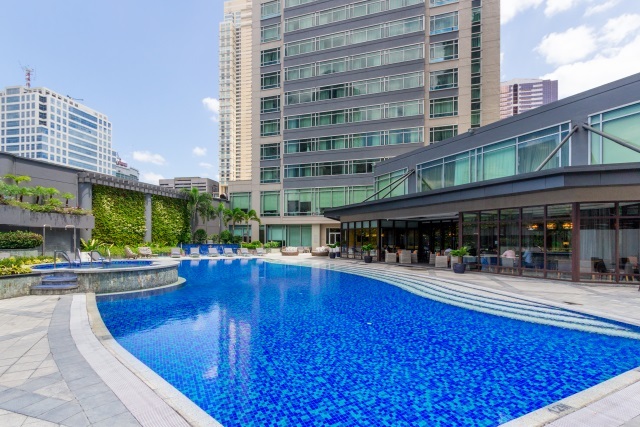 Metro Staycation Hack: If you are on a weekend staycation at Ascott Makati, I suggest that you cook your own breakfast when you wake up in the morning and spend the rest of the morning enjoying the swimming pool with the family. By 10:00am, you can then have your breakfast buffet at Myron's. You have until 11:00am to enjoy the buffet. There is rice, noodles, and a variety of hot dishes which can already be your lunch for the day. Aside from its luxurious residences, Ascott Makati also features guests facilities which you would normally expect in a five-star hotel. It has its own fitness center, a basketball court, a tennis court, a spa and its own outdoor swimming pool. 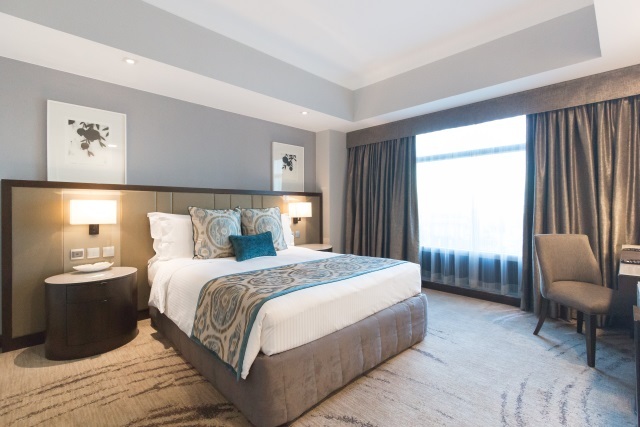 So imagine if you are a business traveler staying here at Ascott Makati, you would really feel that you are also on a vacation at the same time. 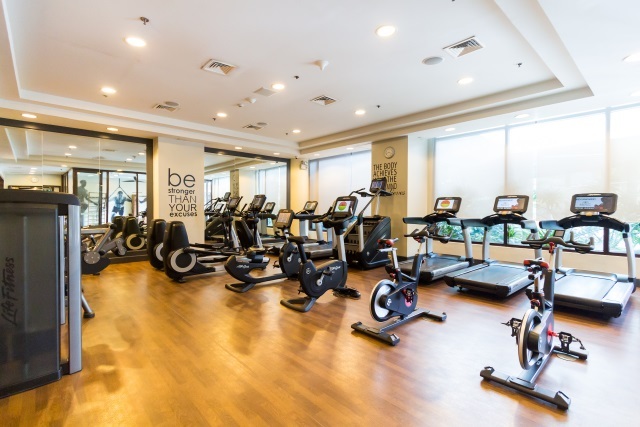 Check-out how expansive their fitness center is and the line-up of their LifeFitness branded work-out machines and was really impressive. The fitness center is open 24/7 so you can choose to work-out on your most convenient schedule. 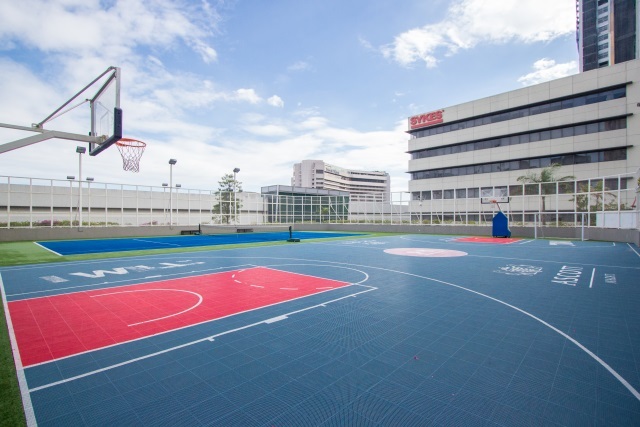 If you are into active sports, you can also play tennis or basketball with your friends or with your kids. It is also a great place to jog in the morning. As long as there are no guests using the area, it should be fine. The Executive Lounge is a value-add service offered at Ascott Makati. 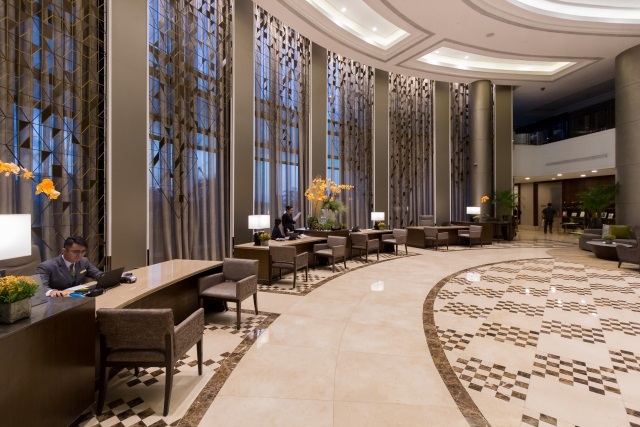 Unlike hotels wherein access to the lounge is granted as a benefit of staying in specific room types or as a privilege awarded to tier members of the hotel's loyalty program, access to the Executive Lounge here at Ascott Makati is purchased upon check-in or anytime during a guest's stay. For an additional access fee per person, Executive Lounge guests are welcome to invite their visitors to the lounge and they will be accorded with the same benefits as their host. 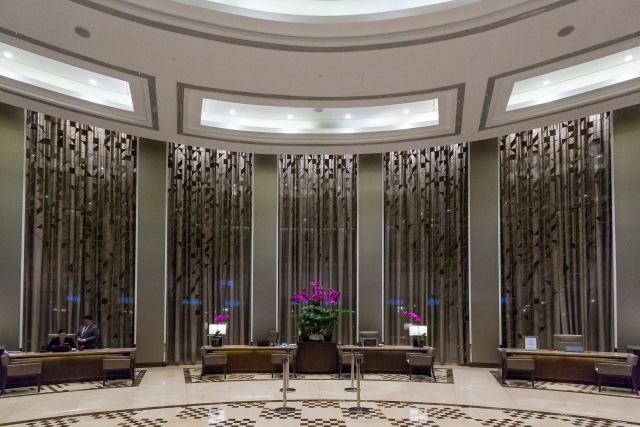 The Executive Lounge is located on the lobby level (6th floor) and is open daily from 6:00am to 10:00pm. I have always loved it every time I stay at Ascott Makati. Online reviews about Ascott Makati are quite a mix of good and not-so-good, but I personally have had consistently excellent stay experience here at Ascott Makati. The residences are well maintained and still look fresh as if they were renovated not too long ago. The guest facilities are also outstanding, mostly at par with, and sometimes even better than, the five-star standards of many hotels. The staff are generally nice people, very helpful and efficient. 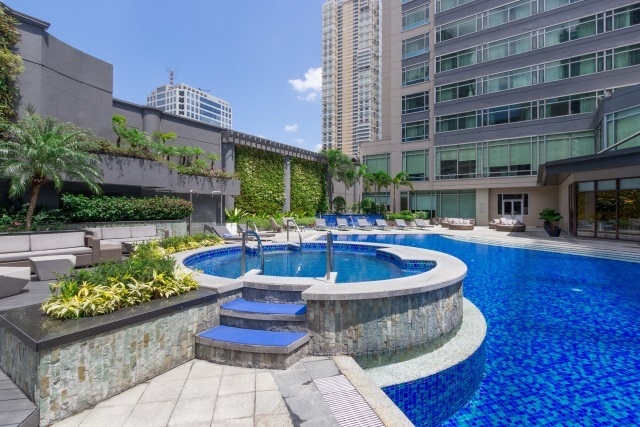 Ascott Makati is located right at the middle of Ayala Center in the Makati Central Business District and is easily accessible from Manila's Ninoy Aquino International Airport. It is also surrounded by shopping malls and restaurants, making it a convenient base for business and leisure travelers. Airport Transfer (International Flights) - Guests arriving at any of the four terminals of the Ninoy Aquino Internal Airport may use the Grab ride hailing application to book their private car ride to Ascott Makati. There is also a Grab booth at the arrival area which can book a ride for you. Airport Transfer (Domestic Flights) - Guests arriving at Terminals 2, 3 or 4 of the airport may also use the Grab ride hailing application or proceed to the Grab booth at the arrival area to book their ride to Ascott Makati. Moving Around - For your transport needs around Manila, we highly recommend that you use the Grab ride hailing app. Fares are fixed and drivers are generally hospitable. We don't recommend taking the regular taxi if you are not a local. Just approach concierge if you need assistance with your transportation. Parking - Guests who will be checking-in at Ascott Makati enjoy complimentary parking during the whole length of their stay. One parking slot is allotted for every residence unit booked. Just present the parking card to the reception and they will validate your complimentary parking.